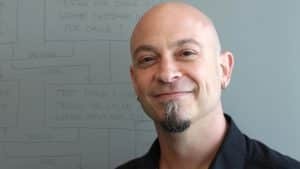 Design Web Sites and Mobile Apps that Your Users Love and Return to Again and Again with UX Expert Joe Natoli. Are your web conversion rates low? Do you know whether your web site is effective at meeting your goals? Do users get “stuck” and aren’t able to complete the tasks they want to? Are your forms effective? How can your mobile app be improved? and leave users wanting more. It’s not enough to simply have a web presence — you must have a web presence that’s effective to be successful. In this dynamic course Joe will guide you through the critical elements of user experience — strategy, scope, structure, skeleton and surface. As you learn you’ll be able to apply the knowledge Joe teaches in dynamic lab exercises– and later to your own work as a developer or designer. If you’re a designer moving into a more complex digital world or a developer who has to occasionally function as a designer as well, this course is for you. You’ll feel more confident as you make design related decisions about layout, color, information, design and typography after completing this exciting course. Hello Sir, I had requested for this videoscribe course. Kindly look into this and make it available for download.